Gunther Emde: Is Donald Trump more sincere than Deepak Chopra? Is Donald Trump more sincere than Deepak Chopra? 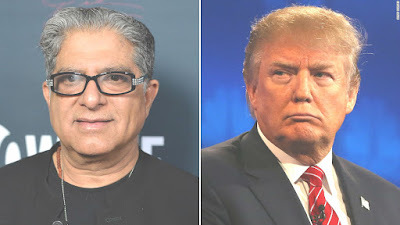 Deepak Chopra and Donald Trump personify the postmodern and traditional values respectively. Frequently, those who think they are more evolved hide their more primitive aspects, and project them on other people. Here you have 10 reflections about the success of Trump and the hypocrisy of the New Age. 1- Trump appears as a model of the American dream. Millions of americans yearn for that kind of superficial success: money and power. 2- Trump says what many think but do not dare to express. 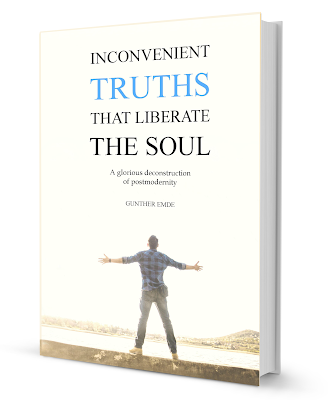 Millions of New Age and political left-wing followers conceal those most primitive facets of their being, and only show their most spiritual and compassionate aspects. 3- Trump personifies the wounded child that we all carry inside. Red of anger, screaming and insulting with rage, Trump expresses the repressed pain of millions of people. 4- Faced with the complexity of left-wing ideas and the "flow" of New Age values, Trump appears as a firm rock. Simple and primitive, but firm. Millions of americans can not assume the growing complexity of postmodernity, and yearn for simplicity and firmness. 7. A good part of the left-wing and New Age followers have expressed defamatory and offensive opinions against Trump, showing that their inner children are as wounded as those of the american magnate. Suddenly, the "flow" and the compassionate love disappear. 8- Trump and the rest of despots, egomaniacs, dictators and corrupt people appear because we need them to see what we do not want to see. They are a lesson sometimes more valuable than universal love seminars. 9- Activism against Trump -and in general all activism- is an external substitute for the therapy we need to heal the wounds of our inner child. 10- However, external activism is also necessary to awaken consciences. These are the two ways of looking at the world: the deep look, in which you lock yourself in your room and cry bravely for your traumas. And the superficial look, in which you repress your pain and project it out of yourself, and then you go out to the street to shout in a manifestation. Both looks are the two legs that lead you to a change that is both personal and social.